Hi, my name is Krista Dziuba. I am an experienced and professionally trained harpist who would love to make your event spectacular. I’m located in South Western Ontario, and I have been performing live for over 16 years at hundreds of events. The harp is one of the most romantic instruments for a wedding. I have performed at dozens of weddings to date, and would love to help you celebrate your day! I know a variety of songs ranging from classical, hymns, pop, Irish etc., and can learn custom requests. Business holiday party, retirement party, or wedding anniversary; I have performed harp at all of these kinds of events! My vast repertoire will easily fit in at your event to suit your style and preference of music. Performing harp at a funeral / celebration of life is always a touching experience for me. I strive to bring some beauty and serenity to moments where we remember the passing of our loved ones. Read below for some testimonials from my previous patrons of Krista Harp music. 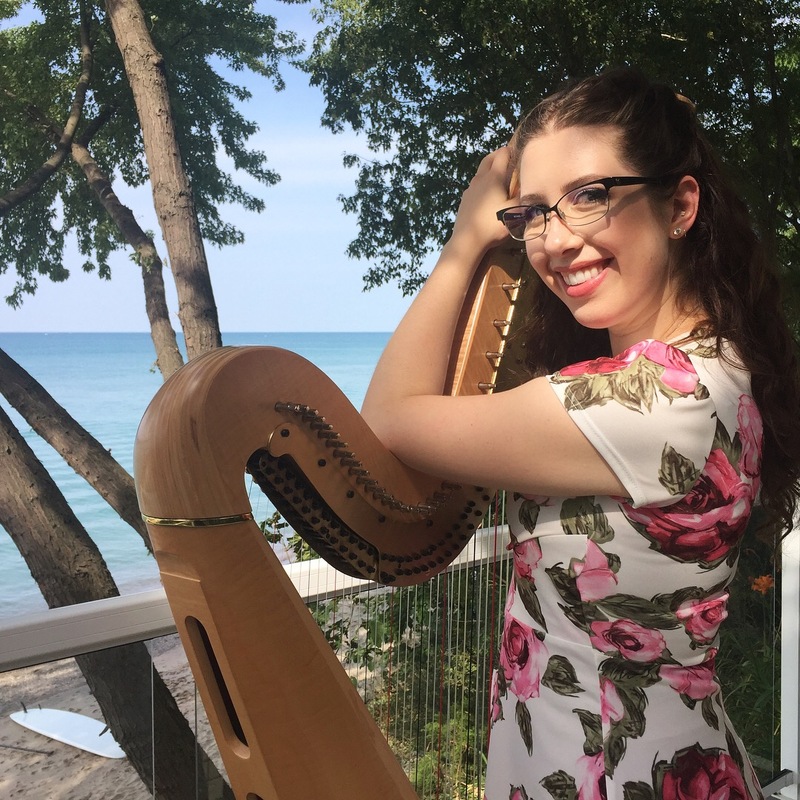 "Our wedding would not have been perfect without the beautiful melodies of Krista playing her lovely harp during our ceremony. The weather was perfect for a garden wedding and beautiful music from an gifted harpist made the day even more spectacular. If you are wanting to add elegance, grace and beautiful music to your day I would recommend Krista. I would love to make your event truly unique with the harp. Please contact me to get started and plan your special day!